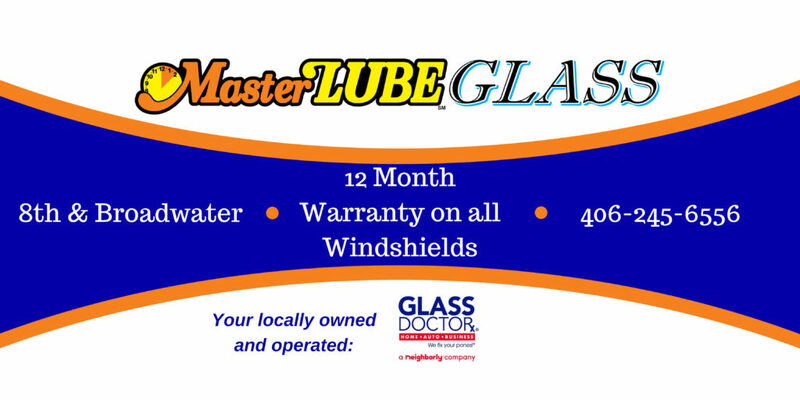 Click for the MasterLube Glass Doctor location. For more detailed information about all our glass services, click on the Glass Doctor logo below. Most windshields are 100% covered by your insurance. Call MasterLube Glass Doctor first for a high quality, Original Equipment Manufacturer windshield. We handle all the insurance details for you and use certified technicians to guarantee a secure, full warranty installation. All windshields come with the G12 Guarantee: 1-Year Warranty Against Chips and Breaks. Chip Repair available at any MasterLube location for $39.99. Have that small rock chip repaired before it becomes a bigger problem. Many insurance companies wave the deductible for chip repair. We will work with your insurance company and handle the details for you. 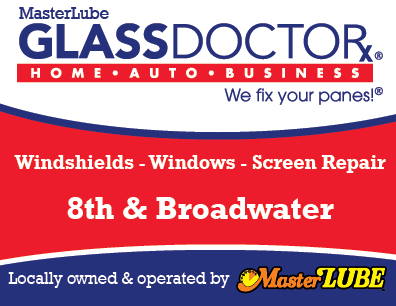 MasterLube Glass Doctor offers screen repair for both home and business windows. Give us a call for mobile service or just bring your broken screen into our store. We’ll install a new screen and have you ready to go in no time! MasterLube Glass Doctor provides custom measured and fitted glass table tops – such as those used for coffee tables or office desk protection. Our experienced technicians will come to your home for an informative consultation on edgew ork detail, glass color, thickness and safety issues related to glass tops. Mirrors add a new and unique look to any home or business. Custom mirrors are a specialty with MasterLube Glass Doctor. We furnish and install vanity mirrors, mirrored walls, custom bar mirrors and shelving. “Foggy” looking headlamps caused by aged plastic can reduce light visibility and cosmetic appearance of your vehicle. Refinishing is a procedure that can make your car more attractive and help increase headlight vision.